KK Nagar is one of the most well known areas of Chennai, which has been showing a marked growth over the years. Starting from the 1970s, when it was established, the area is well connected to other parts of the city. A prime locality in south Chennai, the nearest railway station from KK Nagar is in Mambalam and it is 10 km away from the airport. N Sridhar, senior manager, Ramaniyam Builders, says, “Wide roads and relaxed traffic has been one of the highlights of KK Nagar but the flow of traffic here has increased in the past few years,“ says Sridhar, who feels that if problems related to sewage facilities in some pockets are taken care of and if commercial housing gets a nod of approval here, the neighbourhood has the potential to grow more and may even beat Nungambakkam and T Nagar. Old-timers have a very different image of KK Nagar to share.“It was likea small village when I bought land here in the 1980s.Back then, it was hard to go out for a walk late in the evening but now, it is well-lit, with spacious roads. The Sivan park has got a facelift now and it is a pleasant experience going for a walk there,“ says Kanakangi, a resident of KK Nagar. KK Nagar is at the cusp of a transformation today. Redevelopment of existing housing blocks has picked up momentum in KK Nagar, whereby, older housing board units are being replaced with multistoried apartments, with better amenities. “Old bungalows and residential societies are being redeveloped into newer apartment projects. Prominent among these is Tamil Nadu Housing Board’s (TNHB) construction of over 500 multistoried residential flats for both low income group (LIG) and middle income group (MIG) near the KK Nagar MTC Bus Depot and ESI Hospital. In the last two years, many established real estate developers have launched low rise residential apartment projects in KK Nagar. Most of these projects are targeted at the MIG category and come with a host of amenities,“ says N Hariharan, head, Commercial Agency, South, Cushman & Wakefield. These factors have not only helped the area get a facelift, but also made it an attractive option for home buyers. It helps that KK Nagar has a very good social infrastructure, with educational institutions, hospitals, places of worship and parks. Sridhar says that currently, the average capital values for properties here range from 11,000 to 12,000 per sq ft. The rental housing cost ranges between `7,000 to `30,000, making it suitable and favourable for all segments of people to live in. KK Nagar has been an established residential micromarket in Chennai. “Despite the increase in traffic over the last few years, this locality continues to enjoy the status of a preferred residential neighbourhood,“ says Hariharan. Finally, clearance has been granted for commencing operation of the first Metro Rail service in the city between Koyambedu and Alandur, nearly six years after its launch. However, the clearance is conditional: from Koyambedu to Ashok Nagar, the trains can operate on two tracks (up and down) but beyond that point, both services will be on a single track up to Alandur. The Union Ministry of Urban Development communicated this to the Chennai Metro Rail Limited (CMRL) authorities on Tuesday, according to officials. “We have received the final clearance now to commence operations till Alandur. But before this, the Commissioner of Metro Rail Safety (CMRS) will conduct an inspection from Ashok Nagar till Alandur. They are likely to visit by the end of this week or early next week,” an official of the CMRL said. Due to some technical issues, Metro Rail will operate with a single track from Ashok Nagar till Alandur. Meanwhile, the trains of Chennai Metro Rail too have received clearance for operations. Officials said services beyond Ashok Nagar may begin to operate on both tracks only after stations and track are complete till St. Thomas Mount. Such changes will in no way affect the passengers. These are only technical issues which will be sorted out, he added. CMRS authorities — whose clearance is statutory for commencing operations — came to inspect the facilities of this project twice in April. First, they inspected trains referred to ‘rolling stock’ in engineering parlance and subsequently the stations from Koyambedu to Ashok Nagar. While the trains were recommended sanction, the officials pointed to some technical glitches after inspecting the stations from Koyambedu to Ashok Nagar. Also, in November 2014, the trains of Chennai Metro Rail received another mandatory clearance from the Research Design and Standards Organisation (RDSO). R Venugopal (name changed) is among several building owners in the city who have had to unknowingly pay extra money under the garb of `property tax’ to civic officials. “I did not have any idea about property tax rates. There was also no information on the corporation’s website. But I later learned that my neighbour was paying less per square foot, than I was paying,” Venugopal said. But with Corporation of Chennai uploading a street-wise property tax rate of the city’s 15 zones on its website, corrupt officials will now find it hard to fleece citizens by demanding extra. There have also been allegations that the civic body’s tax assessors accept bribes to lower assessment of properties. The property tax rate of buildings in different areas varies to a great extent and in the absence of a facility to cross-check the rates, many owners, until recently, were forced to grease the palms of officials. For instance, the property tax rate for residential buildings varies from 40 paisa per sqft (Sholinganallur zone) to Rs 4 per sqft (Thiruvottiyur zone), while the rate for commercial buildings ranges from Rs 2 per sq ft (Manali zone) to Rs 11.25 per sq ft (Madhavaram zone). V Gopalakrishnan, an RTI activist and resident of MGR Nagar, said several residents had approached him with complaints. “Many civic officials tell residents that they can lower property tax if they bribe them. There are several buildings owners who pay residential rate for commercial properties, which results in a huge loss to the corporation,” he added. For instance, he said a building owner in his neighbourhood, who owns property of 1,600 sqft, pays only for 800 sqft after bribing the officials. “Most people don’t lodge complaint as they don’t want to pay higher tax to the corporation,” he said. “We will also conduct surprise inspections of households to check if there are any discrepancies in the property tax assessment. Action would be taken against those involved in malpractices,” he said. Officials said residents could also fill out a self-assessment property tax form online and calculate the tax rate. The civic body will, however, verify the forms and will impose a fine on those who have paid less tax. Meanwhile, the civic body has also published the list of property tax defaulters on its website.Mobile phone numbers of zonal assistant revenue officers are also available on the website. The civic body collected a record Rs 581.82 crore as property tax in 2014-15. The corporation had even faced criticism for employing transgender people to shame defaulters. The number of taxpayers increased from 6.5 lakh to 10.82 lakh, after the city’s expansion in 2011. The expansion of residential housing and growth of industrial activities has defined the growth of Chennai. Like many areas in the city, Nanganallur too has been witnessing growth and development over the years. Known as ‘Little Kanchi’ due to the numerous temples located in the vicinity, Nanganallur offers a variety of residential choices for investors in the city. About five years back, the area showed a different picture. “The main factor behind the development of Nanganallur is Chennai’s booming IT business and the setting up of IT parks in the suburbs. 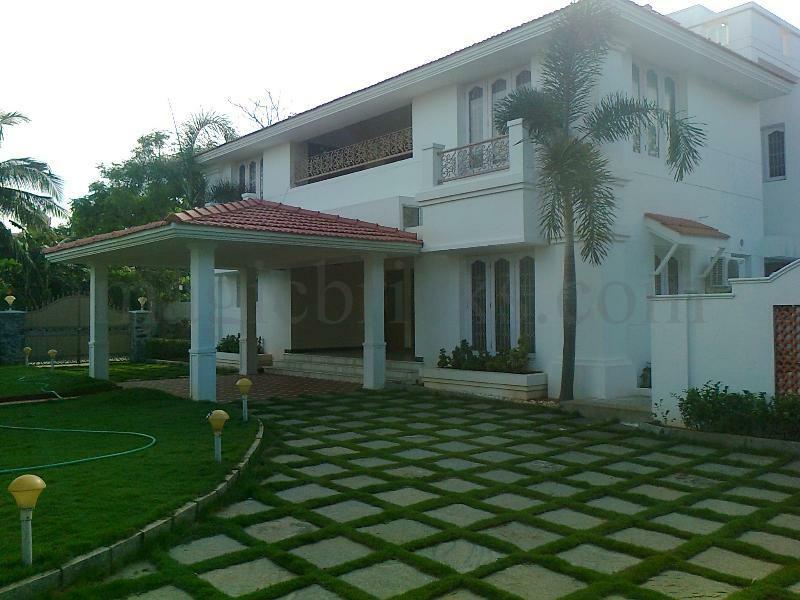 It is located very close to Guindy and Velachery. The inner ring road connects Naganallur to Velach ery, making connectivity easy,“ says Aadarsh Surana, managing director of Amar Prakash Builders. Transport facilities have played a key role in the development of the area. With regular buses available and developed roads, the area is easily accessible. “Given its proximity to the airport and a well developed road and rail network, Nanganallur is easily accessible from central areas like Velachery and OMR,“ says Arun Kumar, managing director and founder, Casa Grande. “As a metro station is coming up near Alandur, it will automatically boost the prices of the properties by 20 to 30 per cent, “adds Aadarsh. Chitra Govindarajan, resident of Nanganallur, shifted to the locality over 16 years back. “I decided to move here as my ancestral home was located here. Back then, the area hardly had any retail or residential activities, apart from a few activities related to the numerous temples here. But in the past few years, development has picked up and more schools, hospitals, colleges and banks have been set up in the area. It needs to be developed further,“ she says. According to R Kumar, managing director of Navin Housing And Property Pvt Ltd, Nanganallur is a very good residential and commercial hub, with the availability of basic amenities like a good shopping area for people living in the neighborhood. “Nanganallur has developed to such an extent that it can be compared to areas like T Nagar and Mambalam,“ says Kumar, who believes that in the near future, transportation and infrastructure are expected to develop here. “The quality of life is likely to improve with the growth in residential areas and the expansion of commercial activities. It is predicted to remain as a good residential hub and not turn into an industrial place,“ he adds. Malika Ravi, CEO of Lancor Holdings Ltd, feels that being situated on the Grand Southern Trunk Road (GST), makes Nanganallur a preferred location for buyers, who choose apartments over individual houses or villas in this area.“As it is located in a central area, the land prices are high.Thus, apartments see the highest demand here. There are a lot of NRI investors who are looking at Nanganallur as an investing option,“ says Malika. The prices in the locality range from `8000 to `9,000 per square feet. 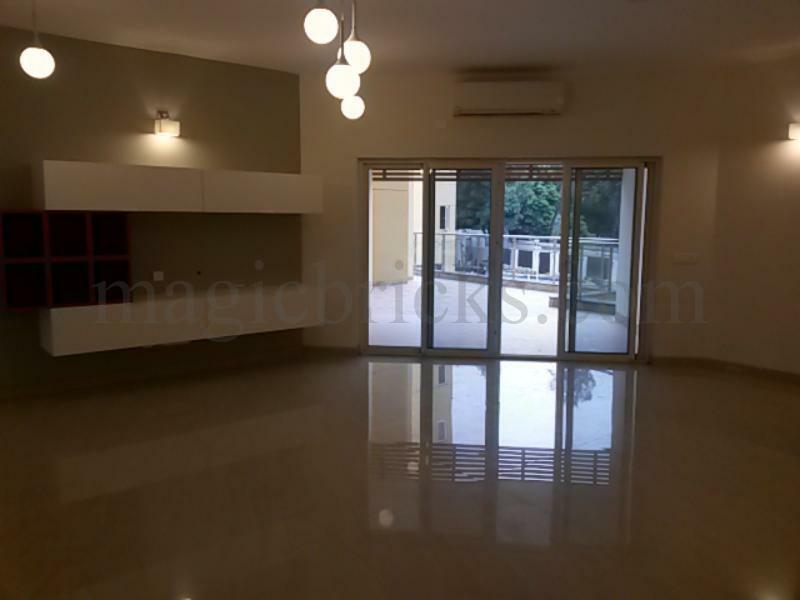 Located in Central Chennai, the locality majorly offers 2, 3 and 4BHK units on rent. These are a mix of apartments and villas approximately sized between 1150 sq ft to 3500 sq ft. While the rental values of 2 and 3BHK units are anywhere between Rs 40,000- 90,000 monthly, a 4BHK unit can be rented for approximately over Rs 1 lakh. 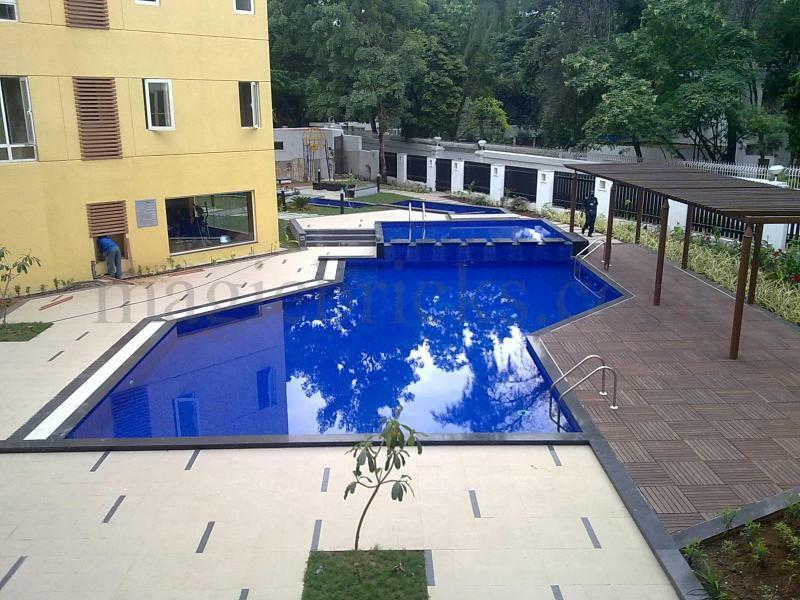 “Since Alwarpet is one of the premium localities and offers up-market lifestyle amenities, the rents here are high. Being centrally located, it has good connectivity to all parts of Chennai, which keeps the rental market up,” says Bala Ganesh, an agent in the locality. Chennai Central Railway Station and Chennai Airport is at 8 and 14 km distance from the locality respectively. The available transport facilities such as buses, train and autos is relatively good. The upcoming Chennai metro will further better the transport medium. “Shopping centers, malls and a nice spread of restaurants in Alwarpet constitute its social infrastructure,” Ganesh adds. 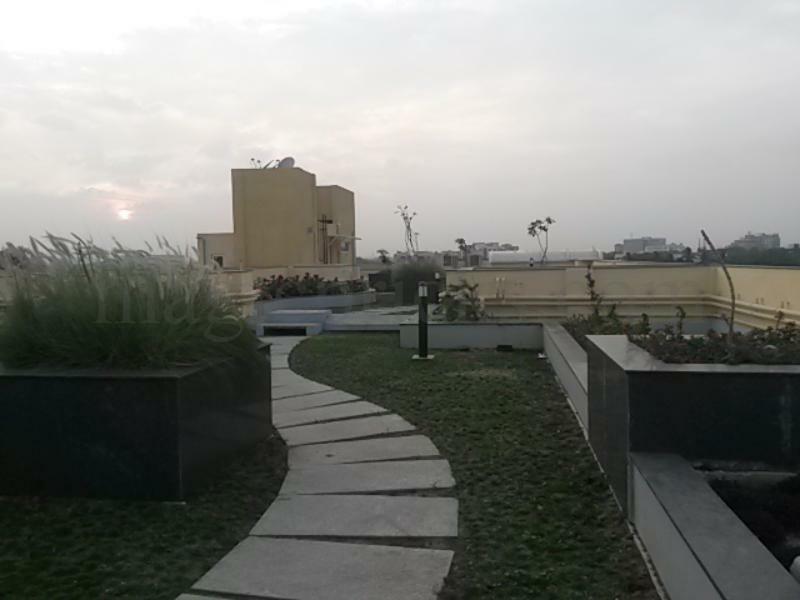 Located in South Chennai, Velachery offers affordable rental options as compared to Alwarpet. One can find 1, 2 and 3BHK unit options in the locality. These are available in the comparatively smaller sizes ranging approximately from 700 to 1500 sq ft. The rental value of a 1BHK unit is approximately between Rs 6,000-7,000, while for 2 and 3BHK units the monthly rent can be anywhere between Rs 10,000-20,000. In terms of social infrastructure, the area offers both private and government schools and colleges are also found in abundance. The prestigious IIT Madras is present in the area. Hospitals, nursing homes, malls and restaurants are also present here. 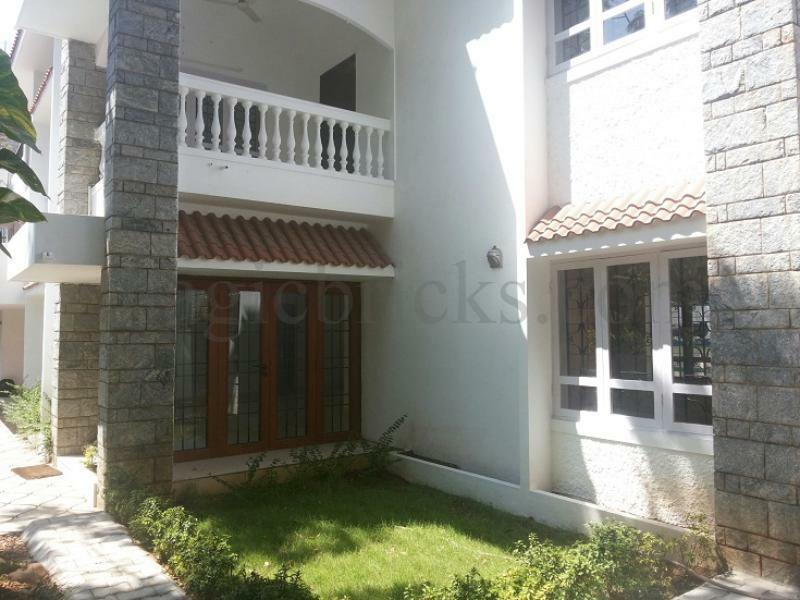 “It is well connected to suburbs of South Chennai and Mount Road by Velachery Main Road. Roads like Taramani Link Road and Inner Ring Road are also nearby and helps to have an easy access to other parts of the city,” Ramesh Raj of Star Housing. The Chennai International Airport near Meenambakkam is at 10.5 km distance. The Mass Rapid Transit System connects Velachery to the other areas. Plans of Monrail are also in the pipeline. Neha has a vast experience and she has written on industries such as real estate, franchise and outdoor advertising. You would have heard of a large number of prospective buyers, especially tradesmen who have established a considerable market in Chennai moving into the city. You would have also heard of Chennai city being home to many migrant techies from other parts of India and abroad. Can this success story be replicated in Coimbatore? Let’s find out. Not only have new start ups set their base in Coimbatore but be ready to hear of business analytics set to emerge as the new IT in the city giving employment to many and in turn calling in many of the techies from elsewhere. “There are companies that are eying Coimbatore for their expansion plans. Among the existing big names are the Tidel Park, Hitech Infrastructure and Rathinam Technopark that house several companies and are a source of increasing housing demand,” says Vikram Ratnam of Prime Realty. As per sources, these companies are eying special economic zones for an investment but the larger question is how these may contribute to the number of jobs and thereby retain a larger number of willing candidates to stay back in the city. “Till now Coimbatore was known only for its textile industry. A sizeable chunk of young population consisting of fresh graduates looking out for IT jobs and the inclusion of IT can be a major attraction for settlers,” says Ashish Kanth of Yogya Prop. It is interesting to note that despite the stagnancy in the market, Coimbatore market seems to be picking up. “Buyers are not making big purchases but there are transactions with respect to plots especially in the peripheries. Sulur, Perianaikenpalayam, Singanallur, Peelamedu, Madukkarai and Negamam have seen some registrations although this is in no case a boom because the number of investors, both NRIs and locals was far more five years back,” says Ratnam. “Areas that command higher prices such as Gandhipuram did not have many takers making it quite certain that actual buyers are looking for practically priced properties and believe that with the expansion of jobs and businesses, the peripheral areas have the potential to tap buyer interest,” concludes Kanth. Trend watchers point out that buyers need to be aware of the increasing number of fraudulent real estate incidents happening in the market. Aggregators have been luring mid-income buyers with cheap, discounted but unapproved layouts. Consequently, a proportion of buyers were taken aback when they understood that these layouts were distanced from any kind of conveniences- social or physical infrastructure and civic amenities. These areas would either be hill or forest areas. Official sources have issued a warning and said that if they give in to advertisements without research, they might be losing out on their life’s savings. With an increasing number of jobs, realty becomes a desirable investment. Be careful before you make an investment. Source: Times of India / Sneha Sharon is a part of the Magicbricks- Content & Research team and is a market research enthusiast. Who said renting is affordable in Chennai ? If you agree with the above argument and believe that renting an apartment or house costs less, you might want to reconsider your ideology. Selective pockets in Chennai are demanding monthly rent that can no longer be termed as affordable. Take a look! One of the coveted addresses of Chennai, Poes Garden, is home to who’s who of the city. Rental values of available apartments range from Rs 1-2 lakh per month with covered area varying from 2000-4000 sq ft. Though the basic facilities remain more or less the same, the property value is high only because of the desirable pin code. Living in the locality means sharing neighbourhood with celebrities such as Dr. Jayalalithaa and Rajnikanth. MRC Nagar is another locality where renting a property is expensive. The area is located on the Adyar creek and offers a sea-view to its residents. Monthly rent can easily reach up to Rs 1.5 lakh for a 3 or 4BHK apartment sized 2000 sq ft.
Facilities being offered in these properties include private terrace or garden, power back up, parking, jogging park, security, rain water harvesting, air conditioning, etc. Renting a 3BHK apartment in Alwarpet having 4500 sq ft covered area can cost you about Rs 2.5 lakh per month while residential houses having 2500-4000 sq ft covered area are being leased out for Rs 1.5-2 lakh per month. The area itself is well-developed in terms of social and physical infrastructure. It shares neighbourhood with other premium localities of the city. Alwarpet is surrounded by localities such as Tenyamet, T Nagar and Nandanam. Like the neighbouring Poes Garden, Alwarpet is also home to famous celebrities such as Kamal Hasan, MK Stalin, etc. Raja Annamalai Puram also has a stock of premium on-lease properties. The rental value of such properties range from Rs 70,000 to Rs 1.5 lakh per month with covered area varying from 2000-2500 sq ft. It is situated on the banks of Adyar river and Adyar creek and most of the apartments demanding high price are either river or creek facing. Besides monthly rent, in some of properties you will also have to pay monthly maintenance charge and security deposit (refundable). Ankit Sharma is a part of the Magicbricks- Content & Research team and reports on the emerging property trends and the latest updates of the realty sector. http://360propertymanagement.in/wp-content/uploads/2016/10/logo-1.png 0 0 admin http://360propertymanagement.in/wp-content/uploads/2016/10/logo-1.png admin2015-05-08 02:07:162015-05-08 02:07:16Who said renting is affordable in Chennai ?